Lemon Sharks were first seen in the shallow subtropical waters on December of 2014. It was found that these species have been in existence for thousands of years and can live up to 400 years. Lemon sharks are the most predominant species with incredible survival mechanism. They have healing power like Wolverine, and their bodies are coved tough pore-like stainless steel. 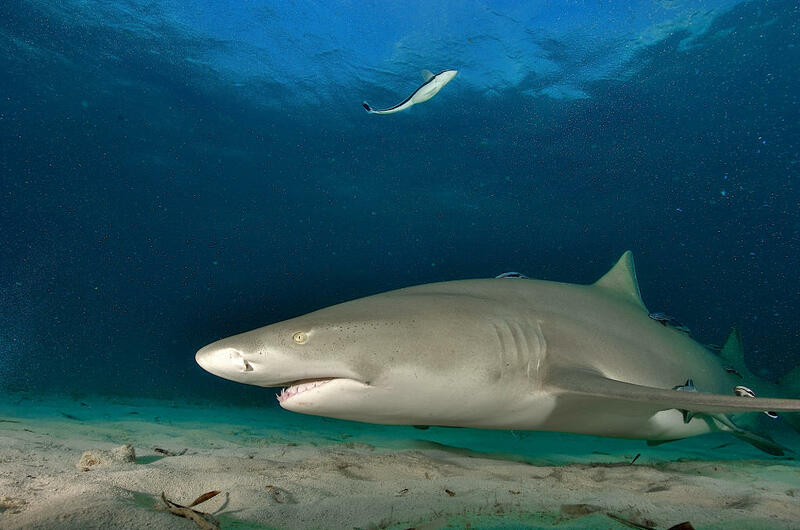 This amazing discovery about the lemon sharks' ability to heal by themselves and their defense mechanism was noticed by Joanne Fraser during her regular shark feed dive in Florida. She noticed a lemon shark with a metal-like piece struck into its body. Having experience working with maritime experts in Florida, she quickly captured the unusual sight with her digital camera. Fraser had so many encounters with the fish after that instance. She has documented every encounter with the fish with photographs and she found that the steel thing coming out from the lemon shark's body was a fish stringer. It is a steel device like a loop used by fishermen to hold the fish during their hunt. During her last encounter with the shark, Fraser noticed that the shark had pushed the steel loop out from its body and healed itself with only proving a scar as an evidence of the incident. Fraser sent her documentation and her experience with a lemon shark to Dr. Steven Kessel who is the Director of Maritime Exploration at Chicago Shedd Aquarium. Dr. Kessel quickly started investigating the incident with the photographs and videos provided by Fraser, and published a report in the journal Marine and Freshwater Exploration on July 13, 2017. In his report, he said that there is no evidence of the entrance and no evidence that the shark has been stabbed on its outer body by a fisherman. Dr. Kessel also reported that the shark may have swallowed the fish stringer while consuming its prey. But he said the most astonishing thing was the size of the stringer it had swallowed. He said that the sharks have the ability to expel the foreign objects and undigested objects from their stomach. The lemon shark expelling the fish stringer from its body shows the life sustaining ability of the wild oceans. With the documented evidence it was noticed that the lemon shark lived the stringer for 435 days. The shark was carrying a big stomach during the documentation indicating the destruction caused by the stringer has been pushed out from its body around February of 2016. Marine scientists are positive about the regenerating damaged tissues in sharks. They think that microorganism may be playing a role during the shark's self-healing process. However, the final document about the lemon shark was made on December 14, 2016. Showing the fish stringer was pushed out from the body and the wounds made by the metal were properly healed.